Who doesn’t want a gorgeous flat belly, and that to in a perfect shape. Most of you know the main workouts that help to build perfect abs. But at times exercise is not sufficient as we ignore to take a perfect diet which is very important factor to keep our body fit. 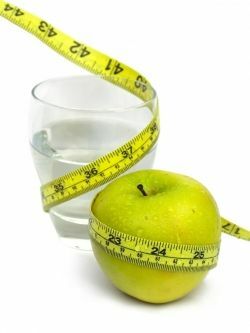 Here are some tips that will help you to change your approach of getting a flat tummy. Whether you do tresses or crunch think about how you do them. It is better to do fewer reps as overdoing them can be injurious to health and will not result in reducing belly fat at all. Simply said “Do not deceive it won’t give any result and you will only be dissatisfied in sports, fitness or any other activities”. OK, well it may be a little overstated, but think about it. The better you do the exercise the less reps it will require because your muscles have worked hard and now they need rest. To get full benefit from your workout divide your exercises into sets. Do one set of curls rest a little and then do another and so on. Do not do too much or under-do the exercises. Do not try jumping over your head by lifting heavy stuff you might simply injure yourself. But also if you under-do them you won’t see any improvement. Your body needs to work everyday in order to burn calories you intake every day. The more you exercise the better results you get. But you have to do it regularly . In order to get slim and healthy body you have to lose weight, if there is any excess weight to lose. Dietitian can help you to calculate your ideal weight as per your height and body type. The best way to lose weight is through weight guidance. This must be performed under regulations of a qualified coach. It help in loosing weight and burn calories, as well as builds muscle. First of all, eat a good amount brunch. Breakfast is an essential meal as it starts metabolism and keeps you less hungry by the time of lunch. So find some time or a way to have a proper breakfast. You can even delight yourself from some sweets but that to in restricted amount. mouth. Think about how it tastes and chew it carefully. Cut back all the fried, junk and salty foods as they aren’t good for your health at all. Yes diet means that you should hold back yourself from eating unhealthy food, overeating is common, eating your desired foods like chocolate can be dome once in 2 weak. Not all of the above but “just think about the flat tummy you want to have and start your daily exercise routine and once you’re started with it you’ll see that all of your efforts are worth it”. Weight Loss reduce belly fat, Weight Loss. permalink.